Ground cayenne pepper is used in food and is an herbal remedy for everything from sore throat to joint pain. 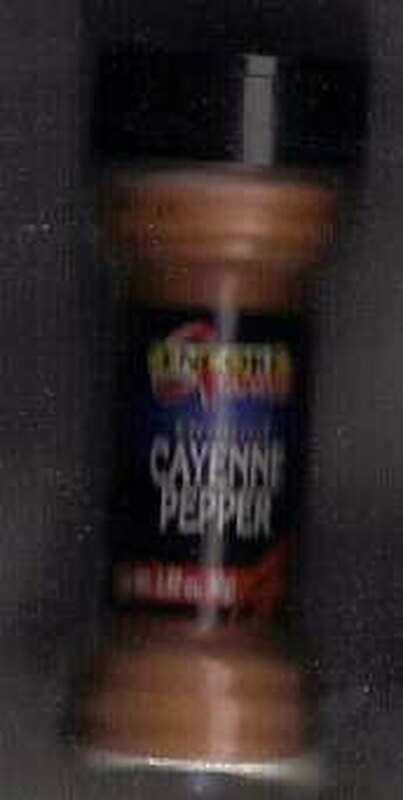 Cajuns cook with cayenne pepper in most of their delicious foods, too, and it is an essential spice in our kitchen. It is one of the medium hot peppers, hotter than jalapeno but not as hot as habanero. Cayenne pepper has some other uses that are not well known. Repel bugs and animals with cayenne pepper--keep them out of your house and out of your flower beds. This is a safe and economical way to get rid of unwelcome bugs and animals without poisonous sprays and powders. Use ground cayenne pepper to keep dogs out of the flower beds. If the neighbor's dog has decided your flower bed is his favorite spot, get rid of any droppings he has left. Sprinkle cayenne pepper around the area to repel the dog and all his friends. Use cayenne pepper for cats. Try cayenne pepper to keep the cats from digging around your yard. Clean up their favorite area. Sprinkle cayenne pepper all around the area where the cat has been, and the cat will only be back once. Cayenne pepper will repel other cats and animals, too. Squirrels respond to cayenne pepper. Keep squirrels out of your flower pots by sprinkling ground cayenne pepper on the top soil in the flower pot. The squirrels will find another place to set their nuts. Cayenne pepper can prevent barnacles on a boat. Mix ground cayenne pepper with boat paint to prevent barnacles if your boat is in the water a lot. Use cayenne pepper for bug repellant. Sprinkle cayenne pepper where you believe the ants or bugs, silverfish, roaches or earwings are coming in the house. Make a line to keep the varmints on the other side. Repel bugs and animals with cayenne pepper as it is economical repellent for frugal living. We often purchase cayenne pepper at our local drugstore on sale, and keep some in the garage and storage areas for outdoor use. Use cayenne pepper inside and outside. Repel bugs and animals with cayenne pepper inside and outside your home. Cayenne pepper is a good cheap repellent outside for furry critters, but also works in the garage, in the flower pots or inside the house to keep bugs away.